I agreed to read and review this book for TLC Book Tours. 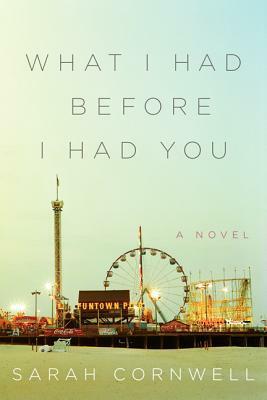 In this haunting debut novel, we meet Olivia, recently split from her husband, and bringing her two children back to her childhood hometown on the New Jersey shore for what she hopes will be a fresh start. Her adolescent daughter Carrie is pulling away from her, and her nine-year old son Daniel has recently been diagnosed with early onset bipolar disorder – which, as it happens, runs in the family. On their first evening back in Ocean Vista, Olivia turns her back for a moment, and in that blink of an eye, Daniel has disappeared. She will spend the night searching for him, and in the process will be assaulted by memories of the fateful summer of 1987 when everything changed for her. Olivia’s mother, Myla, had always been strange. She was the town psychic for one thing, and kept a shrine to her supposedly stillborn twins, insisted that their ghosts were present. She would alternately smother Olivia, and abandon her for days, sometimes weeks at a time while she disappeared on mysterious trips. The summer Olivia is 15, she falls in with a crowd of kids who open her eyes to other possibilities, and she begins breaking away from her mother in a very dramatic way. I was an adolescent in the 1980s, too, so it’s set in a time period that resonated with me. I could relate to Olivia on many level’s, too – the complicated relationship with her mentally ill mother, and the thrill and daring of going down dangerous paths trying to find oneself. Told in Olivia’s voice and alternating between the present and the past, I was hooked from the first page. While parts of the story are a bit implausible, the author makes up for it with her prose that feels like butter melting in your mouth – you just want to savor it. 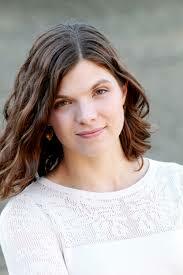 You can read more about this award-winning writer here. I really enjoyed this book, which also got a small write-up in People magazine’s book reviews last week. Sounds like you can really lose yourself in her writing! Thanks for being on the tour. This is one book I would REALLY like to read. The story sounds intriguing and the characters seem very complex. Just my kind of book!